I feel compelled to give a shout out to a fairly new crocheter who seems fearless in attempting new projects and even better at making the adaptations she finds suitable. I certainly admire beautiful crochet work done by anyone. But, when a relatively new crocheter demonstrates her skill and creativity by posting some of those fearless designs and adaptations, I want to encourage and support. So, here it is! Leena at creativeinstincts.wordpress.com is that fearless newcomer who impresses with her simple adaptations suited to her own needs and tastes. 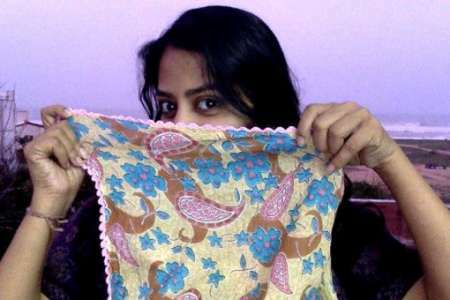 She takes simple stitches and turns them into what she ‘sees’ in her head – thus creating something new and more valuable to her since she has put her own mark on it. When she emailed me about her Summery Scarf Edging, I was doing almost the same job on a larger scale, creating a naptime blankey for my grandniece using this as inspiration. Then, she showed off these very colorful, cheery coasters that just make me smile. I love the way she writes about them! A simple variation of crocheting in one loop only created a dimension that pleased Leena. That pleases me! I know exactly how that feels – when one tiny change in a pattern that I recognize makes me feel talented and accomplished. And, aren’t her color choices just joyous? She says they are Winter coasters. They make me instantly feel Spring may be just around the corner. I appreciate anything that makes me feel like that! So, while Leena is fairly new to crochet, she is certainly not new to fiber arts. Just check out some of her sewing and quilting projects on her blog. As one who also sews and quilts (both hand and machine), I love seeing all this colorful, creative work. These are an inspiration to me! 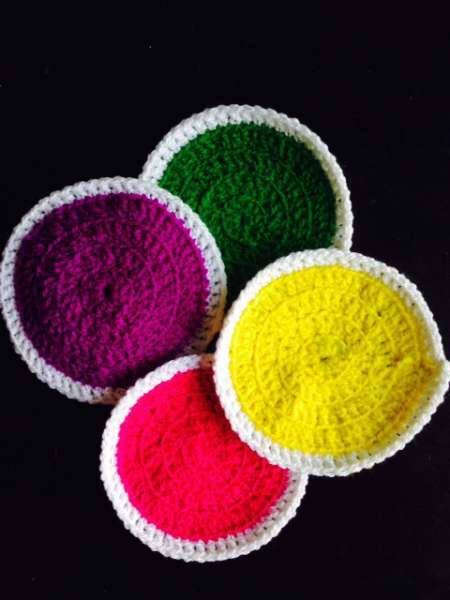 From one fiber lover to another, welcome Leena to our crochet world!